I am a Canadian from a small town in Ontario. I am a Mother of 2 little girls, Rose is currently 2 1/2 years old, and Lily is 7 months old. 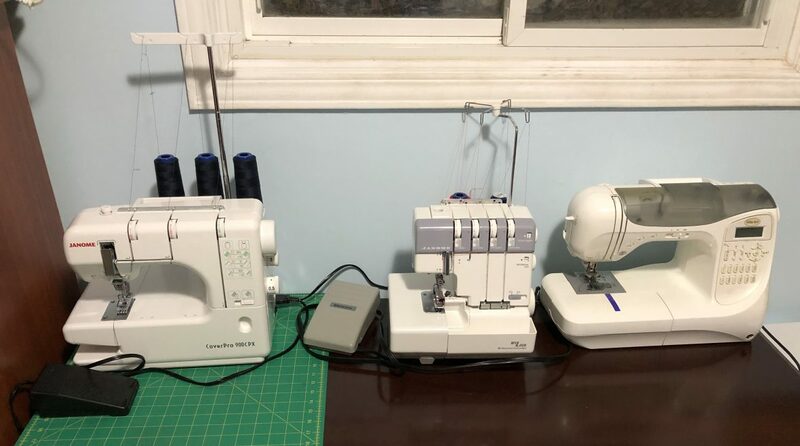 I discovered a love of sewing about 9 months ago. My mom loves quilting so I was always around sewing, but I only did a few projects here and there, things like teddy bears, or tote bags or blankets for my nieces, but it wasn’t until I sewed myself a pair of maternity shorts that I caught the bug. I use sewing as my stress relief and I’m having so much fun with it. My other hobbies include photography and scuba diving. I’ve never been anywhere tropical to dive, it is on my bucket list but it hasn’t happened yet. I mostly dive in the Great Lakes and Lake Simcoe. I hope you all enjoy my blog and I hope you find it useful.